Science is integral to fishing operations. Without the ability to estimate how many fish exist in the ocean there’s no way to determine how many of them we can catch while allowing the remaining fish populations to stay viable. But fish live in a mostly invisible world beneath the ocean surface, they move around constantly, and they eat each other. This creates a dynamic population structure that’s incredibly difficult to track, making fish virtually impossible to count. Thus, fisheries scientists—like political pollsters or other statisticians—must rely on imperfect data to make their predictions about the status and health of fish populations. They take these data—some of which they collect, some of which come from fishermen—and plug them into scientific models which, in turn, create estimates of population health. Because the entire population of a given species is frequently divided into subpopulations known as “stocks,” these estimates are called “stock assessments,” and they form the backbone of modern fishery management in the United States. These assessments provide an estimate of the current state of a fish population and, in some cases, forecast future trends. This tells us whether fishery management goals are being met and indicates the type of conditions to which the fishery will have to adapt in the near future. In an ideal world, scientists would have the resources to provide managers with updated stock assessments for each species every year, but their expense and complexity mean they can only be updated periodically. But to commercial and recreational fishermen, who are on the water day in and day out, and whose livelihoods in some cases depend on their ability to catch fish or take people fishing, the stock assessment process can seem like a nebulous, convoluted exercise, the results of which often seem to them anything but scientific. Somewhat counter-intuitively, this perception can be reinforced by changes that sometimes occur in the stock assessments themselves. Stock assessments are used to determine whether a fishery has overfishing occurring or of the fishery is overfished. The terms “overfished” and “overfishing” are obviously related but they have very different meanings in terms of fishery management. “Overfished” refers to a state of being—an overfished fishery means the fish population is below sustainable levels, due to fishing activity. A fishery can be overfished even if overfishing is not occurring because of overfishing activity in past years. It can be experiencing overfishing without being in an overfished condition because the population is large enough to handle a small amount of temporary overfishing, but continued overfishing will lead to an overfished condition. It also can be both, or it can be neither. In 2011, for example, a new stock assessment of one of New England’s key stocks, Gulf of Maine cod, showed it was in far worse shape than the previous assessment predicted. This kind of sudden fluctuation, while understandable from a scientist’s perspective as improvements are made in data collection and analysis, is infuriating to fishermen and can, as in the case with Gulf of Maine cod, endanger the entire industry. In 2006 Congress amended the Magnuson-Stevens Fishery Conservation and Management Act, which governs our nation’s fisheries. One component of this amendment was a requirement for managers to set annual catch limits in all fisheries beginning in 2011 (2010 for overfished fisheries or those experiencing overfishing at that time). These limits cap the amount of fish that can be caught each year, and must be set to ensure overfishing does not occur, or in the cases of overfished fisheries, to ensure that they are rebuilt to sustainable levels within 10 years. Stock assessments provide the foundations upon which fishery regulators, including the regional fishery management councils and ultimately the National Oceanic and Atmospheric Administration, or NOAA, construct these catch limits. This issue brief is intended to be a primer on stock assessments, asking and answering fundamental questions about the process. Until we develop technology that can take a snapshot of the entire ocean and count every fish, there will always be room for improvement in fisheries science. But the work being carried out today at NOAA’s fisheries science centers meets the threshold established in law—it is the “best available”—and as such, it must provide the foundation upon which our fishery management policy is constructed. Fisheries stock assessments are stringent scientific tools used to judge the health of fish populations. They give managers, fishermen, and the public a sense of the effectiveness of management strategies that sustain fish populations, ecosystems, and the socioeconomic viability of commercial and recreational fisheries. Yet, because counting fish is an inexact science, they tend to produce results that include a varying degree of uncertainty. This often leads to disbelief or mistrust about fishery science and management—a situation that erodes regulators’ ability to manage fish resources for the greatest overall benefit. Assessments estimate a fish population’s size (how many exist), biomass (the sum of their weight), productivity (how quickly and often they reproduce), and age structure (how many old ones compared to young ones). The most complex assessments can include even more in-depth information on things such as the average number of eggs produced, the number of males versus females, how fast they grow, the habits of newly hatched fish, juveniles and adults, their migratory patterns, what they eat, and the rate at which they die naturally (natural mortality) and from fishing (fishing mortality). Because we can’t see and count all the fish, scientists collect data from multiple sources. These include data from fishermen’s harvests, general oceanographic data from ocean observing systems and other sources, and sampling activities in which scientists on board NOAA’s research vessels and other platforms go out and catch and count fish themselves. They then feed these data into computer models to generate assessments of the population as a whole. Like tiles in a mosaic, each data point contributes additional clarity to the overall picture of a fish population’s health or lack thereof. Yet data used to develop stock assessments are imprecise because they are difficult and expensive to collect. An assessment is necessarily complex due to the biological system in which fish live. Scientists, therefore, must design models that make careful use of assumptions to extrapolate what the samples say about the population as a whole. Because of this complexity, scientists recently started to recognize that they need to know more than just about the species in question—they need to know how that species fits into the broader ecosystem. Ecosystem-based management requires consideration of where an organism lives, what type of habitat it prefers, what it eats, what eats it, and the potential impacts changes in the environment. This approach requires information from many disciplines, different levels of ecological organization, and across a much longer time scale and geographic distribution. All these data mean assessment documents are incredibly dense. They can fill hundreds of pages with data, statistics, and formulae all tied together with one or more statistical models. And still they contain considerable uncertainty due to the impossibility of replicating the actual dynamics of a fish stock that occur in a large natural ecosystem, and because fisheries assessments require projections of future events such as how many new fish will be born and survive from year to year, and how environmental conditions will change as a result of climate, weather patterns, or other external factors. How are stock assessments used? Stock assessments measure whether fish populations are meeting targets established in fishery management plans and actions, and ultimately allow managers to decide how many fish fishermen can catch in a given season or year and how many fish must be left in the ocean. They provide the background data managers need to comply with their legal mandates—to prevent and end to overfishing and rebuild overfished stocks within 10 years in most cases. The inherent complexity of stock assessments, coupled with the reality that the results often don’t correlate with the conditions fishermen and others observe on the water, means the results are often criticized and politicized. Those who disagree with the results—be it fishermen who think the assessments are too pessimistic or environmentalists who believe they are too optimistic—will often challenge them, if not in a court of law then in the court of public opinion. 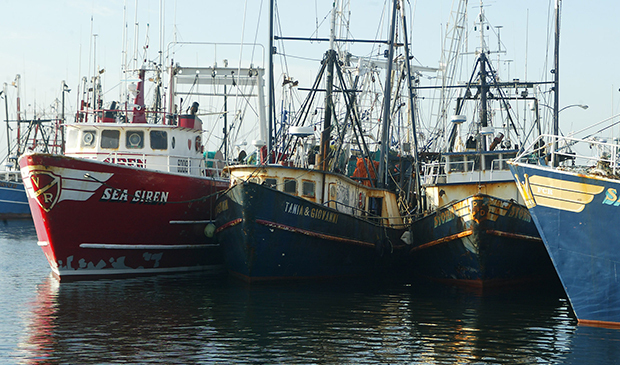 Ultimately, while scientists themselves will admit the results are not perfect, independent studies, including one conducted by the Department of Commerce’s Inspector General in 2009, show that in nearly all cases, the assessment process does constitute the legally required threshold—that managers use the “best available science” to manage our nation’s fisheries. What methods are used to assess stocks? No single assessment method will provide the best answer for all stocks, and for that reason, different types of assessment models have been developed. In most cases, as would be expected, more complex assessment models are used as more information is available about the stock. The National Oceanic and Atmospheric Administration doesn’t have enough funding to do a full-scale assessment of each fish stock every year, so limited financial resources must be allocated for the best overall result. NOAA chooses assessment models based on what data is available for a given fishery; a complex age-structured computer model can’t be used if there isn’t much data to input. In these cases, use of statistics about how catch has changed over time alongside biological knowledge about the species have to suffice, and as a result, the assessment is likely to have a higher degree of uncertainty, and may not be able to predict future stock size and trends. How much do stock assessments cost? Collecting additional data that can allow for the use of more complex models that may provide a clearer picture of stock status increases the overall cost. Even after the data are gathered, the cost of conducting an assessment varies widely based on factors such as the number of people involved and the number of steps included in an assessment. Fishery-management agencies allocate significant funding and staff resources to collect biological data used for stock assessments. Collecting data dockside or onboard a ship, processing biological samples, and attempting to answer other biological questions are significant, ongoing, and often invisible activities that require a great deal of staff time and funding. Relatively simple assessments that primarily examine and summarize trends (stable, increasing, decreasing) and other affiliated corroborative information can cost as little as $30,000 to $50,000 including staff time, meetings travel, and independent review. Other assessments are more complex either because the fishery includes multiple species or stocks, each of which requires its own assessment, available data allows the use of more complicated models, or there have been past issues with the consistency or reliability of assessments. In such cases, the process may involve pre-assessment workshops on quality of data and appropriate assessment models, compiling available information, conducting the assessment, peer review, review by independent experts, and presentation of results. Multispecies assessments in fisheries such as snapper and grouper fisheries in southern regions; or groundfish fisheries in Alaska, the Pacific, or New England which include multiple bottom-dwelling fish such as cod, haddock, flounders, and halibut, can encompass more than 20 species. These assessments therefore include dozens of scientists and technical experts, and due to their high-profile nature, draw much public interest and scrutiny. With staff time, meeting, travel, and independent review, a more complex stock assessment can cost $250,000 to $300,000. In total the assessments become a significant funding and staffing commitment. When data collection and storage, ship-based surveys, and other work needed for stock assessments are added to the formal assessment review costs, the financial cost and personnel commitments by agencies are very significant. Who conducts and reviews stock assessments? Each regional management council has a Science and Statistical Committee responsible for the science that informs council management plans and actions. The councils are composed of leading scientists in biology, statistics, economics, and social science who address a broad range of topics, including stock assessments, management action evaluations, social and economic analyses, habitat evaluations, and ecosystem management issues. In coastal waters within three miles from shore, which fall under the jurisdiction of the states rather than the federal government, interstate fishery-management commissions (the Atlantic States, Gulf States, and Pacific States Marine Fisheries Commissions) coordinate assessments with state and federal scientists. Some states, including Alaska, Oregon, and Florida, also perform assessments for fisheries conducted in their own state waters. Regardless of which management body is overseeing the work, fishery scientists who come from a variety of backgrounds and institutions conduct stock assessments. This group can include scientists from federal and state agencies, universities, nongovernment organizations, or those hired by industry representatives. The commonality is that each participant must possess the technical skill and objectivity to conduct a stock assessment. Increased public and industry involvement in stock assessment sessions and regional review processes has been an evolving trend in fishery management. The public has been able to witness firsthand how a particular assessment is conducted, hear the tone of discussions during the assessment and review, and have a chance to ask questions as the work unfolds. The result—a valuable information exchange that helps the public to understand assessment results and gives scientists valuable information about the fishery in review. When complete, an independent panel of experts reviews assessments, a process called peer review. Under the auspices of NOAA’s National Marine Fisheries Service, each region developed review processes that suit its particular needs. These processes all share elements common to any peer review process, most notably that the review panel is comprised of scientists from outside the region who didn’t participate in the assessment. Reviewers objectively examine the process, the data used, and the conclusions to ensure proper execution of the assessment. Stock assessments use data gathered by both scientists and fishermen, and from monitoring fishing activity. These data are referred to as “fishery-dependent data” and “fishery-independent data,” respectively. Fishery-dependent data are collected by fishermen, scientists, or fishery observers and monitors of fishermen’s catch or landings. It can include total catch and by catch, age and size data, discards, and anything else directly related to what fishermen catch. Fishery-independent data is collected, typically by scientists, directly from the population of fish. Fishery-dependent data cannot be the sole source of information to feed stock assessment models because they can be affected by various external motivators such as regulations, market demand, and weather. Still, scientists and managers have learned that this information can be a major contributor to the process when it comes from trusted sources in the science and management process. Even so, like scientifically collected data, it must be verified before it can be used in assessments. Fishery-independent surveys are designed to follow consistent and unbiased methods using the same gear year after year to provide consistent, apples-to-apples estimates of population changes called an “index of abundance.” They monitor trends in abundance of fish stocks over time and over the entire range of a species. Surveys are often designed to catch young fish that fishermen can’t catch because their gear is designed to avoid them. Many fisheries, for example, have a minimum mesh size for nets so undersized fish will be able to swim through the gaps and escape. Sampling undersize fish allows scientists to estimate the size of a given year class (think of a year class like your high school class—it’s all the fish born in a given calendar year) before fishermen are allowed to catch them. Surveys also collect a lot of other information such as average size and age, reproductive maturity, and feeding habits, all of which improve the accuracy of stock assessments. Fishermen have questioned why NOAA’s vessels often conduct their trawl surveys in areas where they know there aren’t any fish. In fact, scientific surveys are designed to sample to the broadest possible area of where one or more species may be located. If scientists only sample in fishing hotspots, they will inherently develop an unrealistic perception of the strength of the overall population. These surveys are designed to follow consistent and unbiased methods using the same gear year after year to provide an independent index of abundance, which can be used to monitor trends in abundance of fish stocks over time and over the entire range of a species. They are not simply trying to count the most fish they can possibly find. Stock assessments require both fishery dependent and independent data as primary data sources, to adjust an assessment model, and to support assessment findings. Generally, the more data and information available about a species or stock, the more confidence scientists and others have in assessment findings—and more confidence means less uncertainty, which can allow scientists to change catch limits to more accurately reflect the stock status. When combined, fishery-dependent and fishery-independent data provide scientists with the best overall picture of the fishery. What is “cooperative research” and how does it contribute to the stock assessment process? Cooperative research is a way for scientists and fishermen to work together. It allows scientists working with fishermen to learn how to operate fishing gear most efficiently and where fish tend to congregate from the years of observation and experience gained by fishermen working on the water, and fishermen to learn about the intricacies of scientific research and why it must be done so precisely and methodically. Throughout the past decade NOAA invested more than $200 million in cooperative research programs nationwide, funding more than 250 such projects in the Gulf of Maine/Georges Bank region alone, and partnering with more than a thousand stakeholders. This research provided critical new information and, perhaps more importantly, improved relationships among scientists, managers, and the fishing industry. Cooperative research programs improved and expanded survey information for use in stock assessments, developed innovative designs for fishing gear that can target particular species and reduce by catch, led to new fishing opportunities for fishermen, and helped sustain fishing operations at a time of increased regulatory challenges. How are observer data used in assessments? Observer programs send trained staff out on fishing vessels to record data about fishing operations. An observer will record the time and place of a fishing activity, and sample the catch that is brought on board the vessel. On board observers have the added benefit of being able to track everything fishermen catch, including discards—the catch that is thrown back over the side either for regulatory reasons (because it is too small or too young to keep) or for economic reasons (there’s no market for it). Because discarded fish don’t necessarily survive after being released, scientists develop estimates of what percentage of discarded fish survive, and then discard information is included in stock assessments. Shoreside observers can only record the fish actually brought to shore. On-board or shoreside observers may also take biological samples such as otoliths (ear bones) that tell the age of each fish. Adequate observer coverage is a huge boost to ensuring accuracy of assessments, but it’s also an expensive facet. In some fisheries, such as Alaska pollock, observer programs are industry funded, meaning the fishermen pay for coverage. Others use a mix of government and industry funding. In the Northeast groundfishery the federal government largely funded observer coverage with a planned shift to industry funding over a short number of years. Given that observers can cost more than $700 per day, this is a very significant issue for fishermen. Another complication is that fishermen typically don’t like having observers on board. Fishing vessels are small and dangerous places—having another body on board can lead to cramped conditions and personality conflicts. For these reasons, the percentage of trips observed is highly variable. The Northeast multispecies fishery has about 10 percent observer coverage while the Eastern Bering Sea pollock fishery has close to 80 percent coverage. In addition to on-board monitors, some fisheries also have dockside observers that monitor catches as they are brought to shore. Shoreside monitors can track some but not all the data their at-sea counterparts can gather. Why do fishermen sometimes say there are more fish than assessments report? Fishermen often report that they see and can catch plenty of fish when assessments report low population levels. This disconnect erodes support for assessments and makes managers and scientists seem out of touch with what people are seeing on the water. It also puts politicians in a quandary about whom to believe, fishermen or scientists. Fishermen know where the fish are, even when overall abundance is down and fishing locations have changed. If they didn’t, they’d be looking for a new line of work. And when populations decrease, the remaining fish tend to congregate in the best available habitat, so in areas where the fish remain, they tend to be at least relatively plentiful. Fishermen know these hot spots, too, and concentrate activities at these locations. At the same time, there are an increasing amount of areas that have reduced fish abundance or areas that don’t have many fish at all. Technological advancements contribute to this phenomenon. Fish finders, global positioning systems, and Internet access allow fishermen to get up to the minute information that allows them to target fish effectively. They’re now able to use technology to better target fish, even when resource abundance may be reduced. Assessments encompass the entire historical range of the stock so they pick up the lows and highs of abundance that can occur over decades. This allows a population comparison timeframe that many fishermen don’t have. This is an example of the theory of “shifting baselines.” Fisheries biologist Daniel Pauly coined the term in 1995 to describe the gradual acceptance of the status quo as “normal.” Someone who has been fishing for 10 years may see an increase in fish abundance and think things must be better than they’ve ever been. But a fisherman with 40 years of experience may have a very different perspective. On a shorter time scale, there is often a lag between when data are collected and when assessments can be conducted and peer reviewed. Most assessments use data that’s two to five years old, which can cause results to reflect past conditions rather than what fishermen see on the water the day the results are released. Of course, this time lag can cut both ways—it can either suggest fish populations are in better or worse shape than they actually are when the results come out. And, in rare occasions, an assessment just doesn’t get it right. It may miss some trend in the fishery that significantly impairs the assessment results. A survey might not sample the right proportion of young fish in a population or may show an abundance of fish in a given year class that don’t survive to adulthood. This was a major factor in the much-publicized change in the stock assessment of Gulf of Maine cod, which was announced in 2011. Even though such errors are inevitable and endemic of the inherent complexity of fisheries science, when they occur in high-profile fisheries, they can cause a ripple effect, which makes all assessments seem suspect. An odd twist to this discussion is that the current management system doesn’t lend itself to fishermen being completely open about what they see on the water. Rather, they often feel they’re punished for what they say about fishing conditions. If they say there are fewer fish than in years past, they fear the management community will say that cuts need to be deeper because “even the fishermen” think things are bad. Yet if they report that things are good, they risk being punished because “the fishermen are catching too much.” Thus, it’s understandable for some fishermen to suggest there are more fish available than assessments are showing. Do updated assessments lead to “moving the goalposts” for fishermen? The Magnuson-Stevens Act sets a requirement for fisheries determined to be overfished to be rebuilt within 10 years, with certain limited exceptions. Meeting this mandate requires scientists and managers to set a target biomass that, once achieved, will allow the fishery to be considered rebuilt. Occasionally, new data collected as part of the stock assessment process can cause that biomass target to change. If the new target level is higher than the previous one, then achieving it will likely be harder and require more conservative management measures. This gives the appearance of changing the definition of success in a fishery in the middle of an established rebuilding plan. Some industry members refer to this phenomenon as “moving the goal posts,” because it appears the end zone is getting further away. Biomass targets can change for a number of reasons. Scientists have an evolving understanding of what constitutes a rebuilt population because additional research can provide a clearer picture of what fish abundance looked like in the past. The change in the biomass target resulting from these recalculations is an important part of keeping the scientific understanding of a fish population up to date. The Pacific petrale sole fishery is one case in which the estimates of unfished biomass were increased significantly. This re-estimation caused the assessment’s biomass target to increase which, in turn, required reduced fishing mortality to reach mandatory stock rebuilding targets. From a fishermen’s perspective this can be a frustrating experience because in their eyes, nothing changed. The historical abundance level has no bearing on what they see on the water today and is outside their realm of experience, yet reducing the amount of fish they can catch in a year directly affects their bottom line. Additionally, the pattern of increasing biomass targets over time can appear punitive since it can leave the impression that conservation gains are being punished by additional conservation sacrifices. How do stock assessments account for environmental changes? The Magnuson-Stevens Act doesn’t account for environmental conditions such as shifts in species abundance and distribution or oceanographic changes such as climate change or pollution. It simply focuses on preventing overfishing and rebuilding depleted fish populations without concern for how those populations became stressed. Fishery managers can only control one aspect of a fishery: fishing mortality. Other issues affect fish abundance but we don’t yet have a regulatory mechanism to account for this type of change. There is also growing evidence and concern that some assessment results show reductions in fish productivity in the form of consistently poor reproduction or reduced growth rates. These losses reduce estimates of stock growth or rebuilding which, in turn, makes it harder for populations to meet their rebuilding targets even when fishing mortality rates are at what scientists would have considered acceptable levels. More explicit consideration of environmental changes in scientific sampling strategies and assessment model assumptions may result in stock assessments that more accurately account for the new reality facing of our marine ecosystems. Why do new stock assessments sometimes change so dramatically? There is no simple answer to the question of what makes stock assessments change. As detailed above, they are remarkably complex scientific models of what the best data available tells us about fish populations. Scientists continually learn from experience and observation, and gather a greater degree of understanding about how fish populations behave and what makes them thrive or decline. As a result, when new assessments are carried out, the results may or may not change significantly from one to the next. Sometimes the change is the result of new data becoming available, sometimes due to a change in the model, or sometimes due to an actual change in stock size. These changes can lead to sudden increases or decreases in population estimates, which dramatically affect permitted fishing activity. Two recent examples of dramatic changes in highly watched fisheries are detailed here. In 2010 the southeast fishery science center conducted a new assessment of South Atlantic red snapper. Despite a dramatic improvement in the quality of the assessment thanks to the addition of new data and an abundance of anecdotal information from fishermen that fishing was better than it had been in years, it did not show an improved population status. How did this happen? The 2010 assessment followed one completed in February 2008, which indicated red snapper was overfished and overfishing was still occurring. The 2010 assessment benefitted from funding that allowed additional investment in intensive age sampling. This work found the red snapper biomass has benefited from two recent strong recruitment years since the 2008 assessment was completed. Yet the stock, while in slightly better shape than predicted in 2008, was still overfished. Despite fishermen reporting the best fishing in many years, there are not enough older fish in the population. Red snapper can live to more than 50 years of age, but both the 2008 and 2010 assessments indicate that most red snapper are less than 10 years of age. Improving the number of older fish is critical because older fish produce far more eggs, creating a buffer effect against population declines. So even though there are more fish in the water, in order to rebuild this species, fishermen must ensure enough remain to grow old so the ones still in the water can mature and continue to accelerate the pace of rebuilding. Following a stock assessment completed in 2008, it appeared that one of New England’s signature fish stocks, Gulf of Maine cod, was well on its way to recovery. Then scientists released an updated assessment in 2011, which showed a dramatic reversal: The stock could not be rebuilt by the 2014 target date even if all fishing stopped. This bombshell rocked one of our most historic fisheries back on its heels and caused reverberations that are still echoing through New England’s coastal communities. The change in stock status from 2008 to 2011 was the result of new data being added to the cod assessment. The optimism in 2008 was based in large part on a rosy perception of the 2005 year class. Two unusually large samples in the 2007 and 2008 spring surveys led scientists to an estimate that the year class included 23.9 million fish, a huge number. The additional recent observations of this year class in the surveys, and now in the catch, have not borne out this optimism. It turns out those surveys just returned a nonrepresentative sample of 2005 fish. This, in turn, caused significantly reduced population estimates in the 2011 assessment. In addition, the most recent assessment found Gulf of Maine cod had lower weights at age, meaning fish are growing more slowly than in the past. Since biomass measures not just of the number of fish, but the weight of the entire fish population, a small change in weight at age can make a big difference. This example demonstrates the uncertainty inherent in stock assessments and the challenges they bring to fishery managers and the fishing industry. These challenges are most daunting for fishermen who have to make business decisions such as whether or not to purchase a new permit or vessel, which can cost them hundreds of thousands of dollars. And because of the variability of stock assessments, they must make these decisions based on uncertain information. This also makes it difficult for banks to make loans in support of these business decisions. The changes made between the 2008 and 2011 assessments came as a result of significant improvements in fisheries science. But because they made an already dire outlook for the fishing industry even bleaker, they have drawn attacks from fishermen and politicians, calling the science into question and pushing for further improvements and faster turnaround times. Ironically, efforts to better account for the uncertainty in assessment data that led to the 2011 assessment’s findings were, in part, prompted by precisely this kind of political pressure. Everybody wants accurate and timely assessments that will result in better management of our vast and valuable fishery resources, but the assessment process is neither static nor perfect. Stock assessment scientists are doing the best job they can with the data, models, and resources they have available to conduct the high number of assessments that must be completed. Investing in data collection that augments existing programs. This means continuing and expanding fish surveys, more aging of fish samples, and tagging. Overall, the best assessments have the most data, so more data improves assessments. Investing in developing better assessment models that make more effective use of existing data and models that better reflect conditions in the environment. Beginning new sampling programs to provide auxiliary data such as relative abundance of pre-recruits, egg and larval surveys, and direct estimates of fishing mortality. This is particularly important as we move toward multiple species and ecosystem based assessments. Training more stock assessment scientists. A significant bottleneck in conducting timely assessments for management is the limited pool of qualified stock assessment scientists. Increasing the number of people who can conduct and review assessments will increase the pace of assessments needed for managers. We support these recommendations, and hope the rationale laid out in this report helped define the complexities and challenges of determining just how many fish there are in the sea. Sound science is fundamental to ensuring a sustainable future for fisheries in America and around the world. Without an estimate of how many fish there are in the sea, there’s no way of knowing how many it’s reasonable for us to catch. And as world populations grow and bring increasing demand for seafood, we must maximize production from our fisheries—not just today, but for generations to come. George Lapointe is an independent consultant on fisheries and ocean issues and the former Commissioner of Marine Resources for the State of Maine. Linda Mercer is the director of the Bureau of Resource Management for the Maine Department of Marine Resources; and Michael Conathan is Director of Ocean Policy at the Center for American Progress.